Although many people in our society are fortunate to enjoy balanced emotions, there are others that spend some part of their life combating depression, anxiety, worry, anger or fear. Even when we are aware that our emotions are out of balance, very few people consider diet and lifestyle as way to improve their emotional well-being. Instead, they resort to medications that often don’t work as well as hoped, and which can have severe negative side effects. Since stress, environmental toxins and poor lifestyle choices are often the root cause of emotional instability, wouldn’t it make sense to begin making changes in these areas as a first step to feeling better? Maharishi Ayurveda approaches health holistically, with the understanding that the mind, body and emotions are intimately connected. Whatever one does to the mind or the body has a corresponding effect on emotional health. And this cause and effect relationship works both ways. When the emotions are imbalanced, it is highly likely that at some point a physical ailment or mental pressure will arise. Let’s consider a person who tends to be impatient and gets angry easily. When this person eats hot, spicy and acidic foods on a regular basis, their emotions will also flare up. It will be difficult for them to become calm and relaxed unless they are first willing to change their diet to foods that help cool their emotions. If they continue to eat acidic foods, it becomes increasingly likely that they may contract an ulcer, stomach problems, skin condition or other Pitta-related health problems. Now think of a person who often feels sad and is easily depressed. If this person eats heavy foods and lots of sweets, this can cause or aggravate those same emotional symptoms. And a person who is anxious all the time should favor warm cooked foods, and decrease their intake of raw foods. These are just a few examples of how food can serve as a natural medicine, and how there are specific dietary regimens for those seeking long term and positive emotional changes in their life. But it’s not just foods that can affect our emotions. Mental discomfort at home or the workplace can also greatly influence our emotional well-being. Working at a job we don’t enjoy just to earn a salary can take its toll on one’s emotions. According to Ayurveda, all experiences in life are digested through our five senses: hearing, taste, touch, sound, taste and smell. Every cell in the body is affected by everything we do. If we experience something that is unpleasant over and over on a daily basis, then the mind and body will respond with negative thoughts and emotions or physical pain. By adding meditation, proper exercise, diet and lifestyle in tune with our body type, and herbal supplements that address our current imbalances, we can begin to lead a more happy and healthy life. Our emotions can become more positive, increasing our happiness and overall well-being. In fact, many of my clients that begin following the diet and lifestyle changes see improvement within just a few days. The life-affirming emotions of happiness, enthusiasm, self-worth, peace and love can be developed at any age. 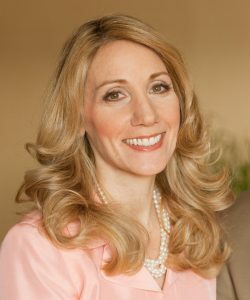 My mission is to share with my clients how meditation, Ayurvedic lifestyle, diet and behavioral changes can dramatically influence how we experience and handle whatever daily challenges may arise in our work and personal lives. Let’s get together and get started now.